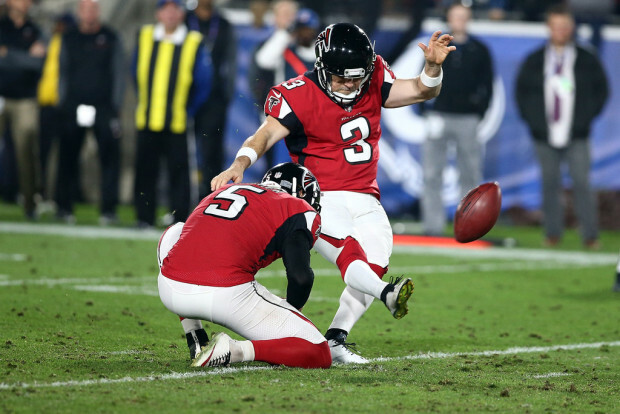 Kicker Matt Bryant, affectionately known as “Money Matt,” will not return for the 2019 season after the Atlanta Falcons declined his team option on Wednesday. Bryant, 43, signed with the Falcons prior to the 2009 season, and leaves Atlanta as the leading scorer in franchise history with 1,122 points. His 158 points in 2016 is a Falcons single-season record. “Matt Bryant will be remembered as one of the greatest Falcons of all time,” Falcons owner Arthur M. Blank said. Bryant owns a slew of other team records and earned his nickname after nailing a number of game-winning kicks. Bryant owns franchise records for most points in a season (158), most point after touchdowns (372), and field goals made (250). In 2018, Bryant made 20 of 21 field goal attempts (95.2 percent) and 33 of 35 extra point attempts (94.3). For his career, Bryant has made 388 of 450 field goal attempts (86.2 percent) and has converted 553 of 560 points after attempts (98.8 percent).